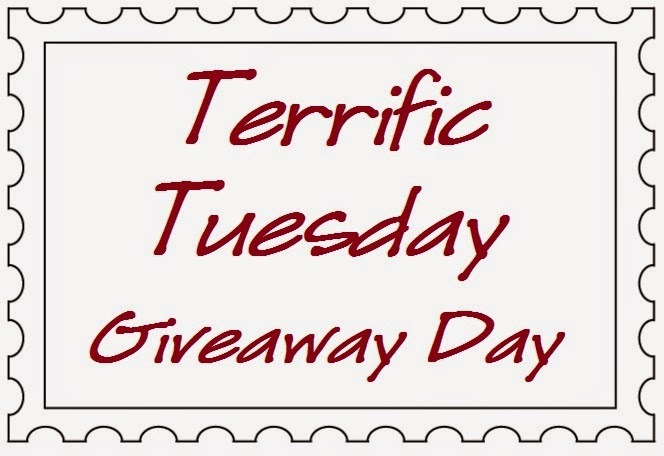 It's Terrific Tuesday Giveaway Day . . . let's have some fun :) And sorry it is coming a little late today . . . I was teaching my sister-in-law applique!!! So fun!!! So let's get to it . 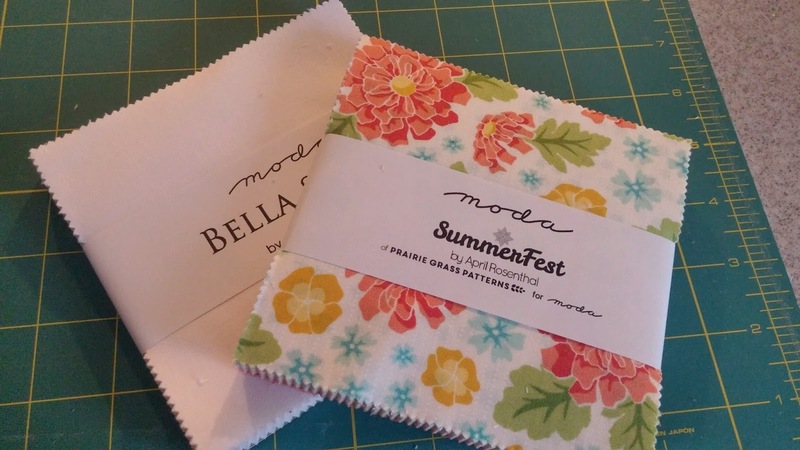 . .
And for today's Terrific Tuesday Giveaway Fat Quarter Shop has a super adorable Fat Eighth Bundle of Summerfest by April Rosenthal for Moda!!!! I have sewn with this line for Market last year and let me tell you, it is fantastic!!! So bright, happy, and all around summer goodness!!! ENTRY 1 - Simply leave a comment that tells me what are you looking forward to doing the most this summer?? I am looking forward to my son graduating from his residency in June and my brother coming in to visit from TX! I just can't wait for warmth, and the ability to be outside and enjoy the weather. Thanks for the chance! I follow FQS on Facebook, instagram, email. What I am looking forward to doing this summer is visiting my family. I would call it a vacation but I spent a lot of time driving and not much time relaxing. Going to Alaska. Spending some time with our son and family. Short and sweet this time. And not looking forward to saying goodbye to another son and his family. They're heading across the country for medical school. I get FQ newsletter. Love getting it and love getting my orders! They make you feel so special. I am signed up for their newsletter and follow on Pinterest. I love to swim and am looking forward to the opening of the neighborhood pool! I follow FQ on facebook, instagram, blog etc! Watermelon! I'm eager for summer to get here so I can eat delicious local grown dry farmed watermelon :-) Thank you for the sweet giveaway! These fabrics would go great with watermelon! I love Fat Quarter shop! I follow their blog and get their newsletter. They show the designs so beautifully! Our family is going on a beach house vacation. Can hardly wait! Fat Quarter shop is amazing, I follow them on Facebook and Bloglovin. I am really looking forward to my family reunion this summer! Summer is my favorite season! I'm excited to get out there and do some yard work! I follow them on instagram and pinterest and receive their newsletter! Looking forward to gardening this summer! I am looking forward to visiting family and going to the beach! Thanks for the chance to win! I like/follow FQS on facebook! The blossom is out on the trees here in the UK, so summer must be soon. I love watching the cycling of the Tour de France, hours of stitching time whilst admiring the French countryside in the sunshine. I look forward to camping a few times this summer, hopefully not in the rain. I follow FQS on Facebook, newsletter, blog and Youtube! I follow Fat Quarter Shop on Facebook, IG and my Blog. I spend way too much time making the fun SAL's with them and Lori Holt! This would be fun fabrics to play with. I just want it to stop raining. I'm a big fan of April Rosenthal! Can't wait for my sister, niece and nephew to visit from Texas this summer. I'm looking forward to 5 grandkids here at the same time, from states and countries far away. I follow Fat Quarter Shop's blog posts and also follow them on Facebook. I look forward to making a couple of quilts for my frist grand daughter who will join us in July. I signed up for the FQS newsletter. Looking forward to our family trip! And our youngest to start walking! I am so looking forward to camping, we bought a new camper and I can't wait to try it out! I follow FQS on Instagram and the blog! I follow FQS on Twitter! Looking forward to having cookouts on the veranda, and friends over to visit. I follow FQS on FB and subscribe to their newsletter. I am looking forward to the wonderful fresh fruit of summer...nothing else like it. 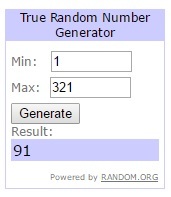 Thanks for sharing the giveaway! i'm looking forward to camping with my little boys! Looking forward to getting out on our pontoon! Camping...with bonfires and toasted marshmallows. It's been years since I've gone. I receive FQS emails. I hope that counts that I follow them. I follow FQS on bloglovin...great shop. This summer I hope to finish all of my frivol quilts. Great practice for me for free motion quilting. I am so excited to be going to the Yukon this summer camping and fishing. I can hardly wait. HAPPY TO FOLLOW FQS BY GMAIL ! I have been following FQS for quite a while now via email. Eating lots of fresh vegetables. Love summer veggies. Going to visit my dad at Myrtle Beach for a whole week! I'm most looking forward to sunshine. I enjoy watering my container plants in the morning every summer and then sewing during the heat of the day. I'm a Fat Quarter Shop follower on Instagram and Facebook. One of my best friends wedding. Lots of dancing and eating will be involved! I am looking forward to moving to Texas, that is if our house sells! I am looking forward to enjoying the Colorado mountains! Thanks for a great giveaway! I follow the Fat Quarter Shop on Instagram! Spending time at our SC beach "bungalow"! I already follow FQS on FB and Bloglovin'. I've also ordered some things from FQS..great shop and wonderful customer service! I'm ready for the beach! I follow FQS on Bloglovin', Instagram, You Tube and get their newsletter, too! It's coming into winter where I live so I'm going to tell you what I'm most looking forward to this winter. Cold days just right for quilting. I follow FQS on YouTube. Looking forward to warm weather and doing some applique and piecing on my screened porch! My summer is (hopefully) going to be filled with quilting. I have one more event to make happen and then I am free of regular obligations and there's going to be quilting gosh darn it. 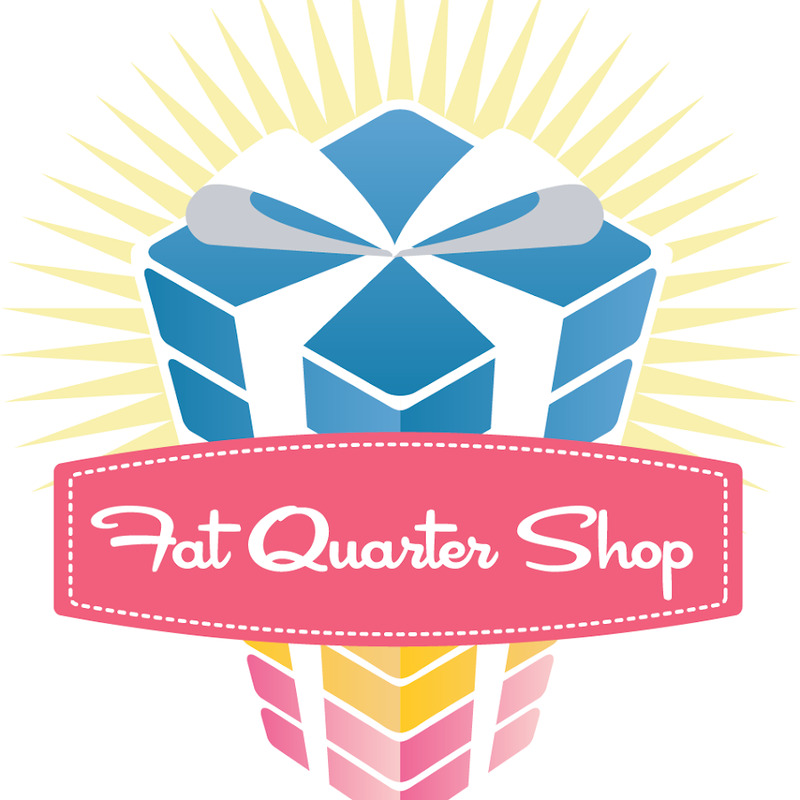 The Fat Quarter Shop is my go-to shop online! Love their selections. Love this bundle. Road trip from San Antonio Texas through Louisiana, Mississippi, Georgia, ending in Dawsonville. Camping!!! Love FQS YouTube videos!! Looking forward to enjoying my grandkids this summer. 1. Its winter in New Zealand and I am looking forward to long winter evenings sewing. 2. Liked on their awesome Facebook page. Such inspiring and beautiful fabrics just lift the spirit. The Youtube channel is also amazing, great ideas and tutorials. I am planning on working on an applique quilt top and a pieced top, both patterns by Lori Holt. I love Fat Quarter Shop, check their emails, blogs and daily deals! I am looking forward to a river cruise in Europe with the family this summer. I follow the FQS on Facebook, by blog and I receive their newsletter. I look forward to going to a lake in our motorhome for the month of August. Since I have June and July off, I can catch up on my quilting projects. I'm looking forward to a trip with my grandchildren. Mmm summer, would love to win this gorgeous line I've been seeing on line! Thanks for the chance, Melissa! and FQ. Summer fun...kids coming from Arizona to float the river and go to Sun Valley Id! I"ve been a frequent long time visitor of FQS...seems like years now...love their solids! Thanks again. I follow on Pintrest, blog and newsletter. I really like the Cotton + Steel. I'm gonna' have to get some of that. I am looking forward to getting my gardens back into shape. I didn't get out too much last summer so they are a bit out of control. I am looking forward to spending time sewing this summer and going camping. I'm looking forward to having fresh, homegrown tomatoes! I follow fat quarters blog and get their newsletter. My tomato, pepper and eggplant plants arrived today...looking forward to fresh homegrown veggies! FQ shop has the new Indah Batiks...Mother's Day? I look forward to spending time with my grandchildren. I'm hoping to plan a fantastic exciting summer for my girls before I send the oldest off to Kindergarten. That and strawberries. I follow the FQS blog, Instagram and newsletter. Thanks! I am looking forward to sitting in my rocker on the porch, iced tea in my hand, watching the birds. This summer will be hard since I can't really take a vacation from my new job. I'm looking forward to a couple weekends at the beach and lots of time with the kiddos. I am looking forward to spending time with my two oldest grandchildren. It will be our last summer together because we are moving to Arizona to help my mom. I follow Fat Quater Shop on YouTube, Instagram and their blog. I am looking forward to summer barbecues, and squaring up blocks on the back porch, while the kids play in the yard. I am looking forward to spending time learning my new sewing machine this summer! 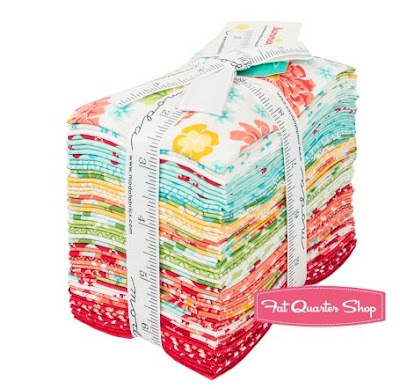 I follow Fat Quarter Shop on Facebook, through Blog Lovin and I get their newsletter! Looking forward to more hiking and biking this summer on my new knee . I go in for surgery Monday! I love Fat Q Shop. Follow on FB and Instagram. What a fantastic giveaway!! I am going to the Grand Canyon!! I can't wait!! I am looking forward to spending time outside with the kiddos, swimming, and a little vacation by the lake! I follow FQS on pinterest, IG, and bloglovin! Love them! I am looking forward to my sister and mom coming for a week visit this summer. I follow FQS blog, newsletter and FB. Looking forward to camping with friends and family. Looking forward to time outside with the kids! I hope to work with my overful scrap bin. I follow FQS on Instagram, Facebook and Bloglovin'. This summer our nephew is getting married and it's happening in Quebec! We are really looking forward to this event!! I follow FQS in many ways: FB, IG, Twitter, Bloglovin.... And I get their newsletters!! They are awesome and I love the prize they are sponsoring!!! I am looking forward to a lovely visit from my daughter and granddaughter this July. Bring on summer please. Hoping for a trip out to the northwest to see my daughter. We are visiting our granddaughter and her hubby in Germany this summer-yay! I follow the FQS on Facebook. Looking forward to family BBQs and some traveling this summer! I love Fat Quarter Shop and follow them in IG, and get their newsletter. THey get a lot of "support" from here, LOL. Yes, I follow FQS and get their newsletter. I follow Fat Quarter Shop on Instagram! My Grandson is going to visit for a month or two this summer! I follow on pinterest, Facebook, blog, email. I can't wait to do some kayaking this summer. I'm hoping to do more beekeeping and being outside more. I follow by email and instagram too. I am looking forward to vacation with our daughter and her family!! I am going to sew lots of summer dresses and crochet some lacey shrugs! I follow FQS on Facebook, as well as other venues including YouTube and their newsletter. LOVE THEM! I am so looking forward to gardening, sitting in the shade and looking at my garden, and having some relatives over to party in the garden! I follow Fat Quarter Shop through email, and I love it! I'm just looking forward to seeing my daughter and grandsons, some warm weather and lots of humming birds on my front porch. I love FQS, already follow them. I'm looking forward to going to Greece this summer. I receive FQS's newsletter and follow them on Instagram. I'm looking forward to going on the bike trails with my granddaughter! We have a great vacation planned for this summer. England, Scotland, Wales. Can't wait. I get FQS Newsletter, subscribe to the Youtube channel, and follow on Instagram. Love FQS! This summer I will be traveling to Missouri to visit 3 of my grandchildren. I'm really looking forward to it.